Click on the image for a readable view. A symposium to celebrate and mark the designation of the Marshall McLuhan Library archives into the UNESCO Memory of the World Register. 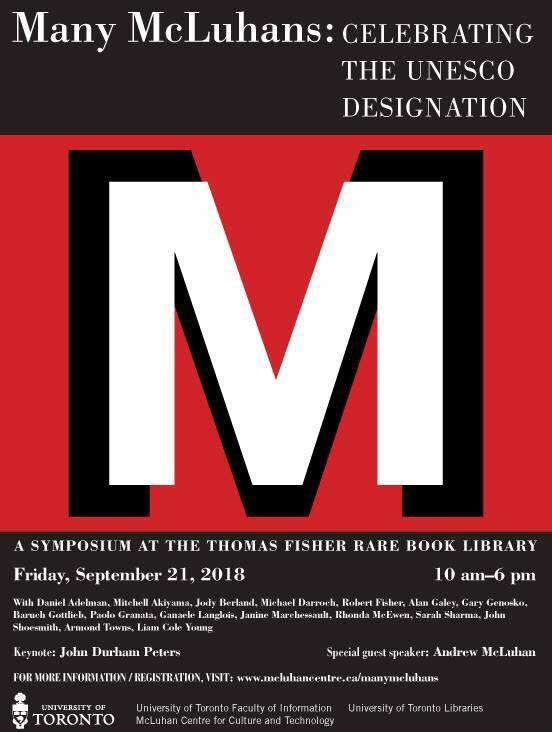 Organized and sponsored by the McLuhan Centre for Culture and Technology and the Thomas Fisher Rare Book Library at the University of Toronto. 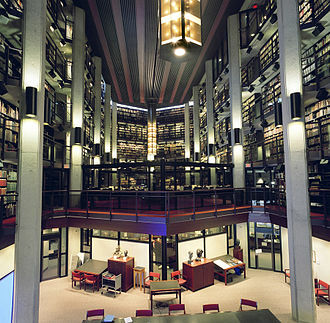 Marshall McLuhan’s annotated working library, now at the Thomas Fisher Rare Book Library, University of Toronto, was recently added to UNESCO’s Memory of the World register, recognizing that it is a globally important cultural artifact. Some years ago I had the remarkable experience of inventorying and documenting the library before it left our family. I recently began a new similar journey with my father Eric’s library, and I am looking forward to sharing that as well. Like Eric and Marshall, the libraries are related but different. Eric’s is very much an extension of Marshall’s. It was my honour to accept an invitation to speak at this celebratory event this September in Toronto being organized by the Fisher library and the McLuhan Centre for Culture and Technology – University of Toronto. Please join us if you are in the area this fall!